The B. 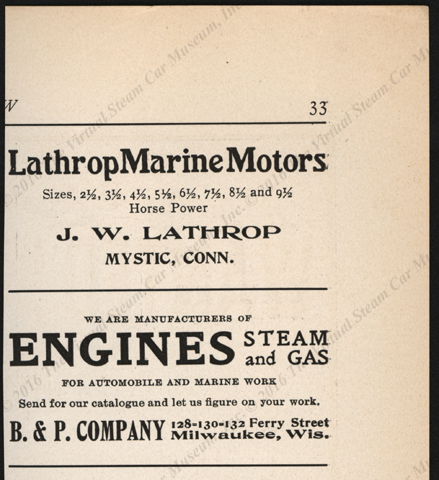 & P. Company of Milwaukee, WI was one of many small manufacturers making engines for early automobiles. The B. & P. Company of Milwaukee, WI placed this advertisement in Automobile and Motor Review on August 2, 1902, p. 33. Contact us if you have additional information about the B. & P. Company of Milwaukee, WI, or if you have questions.